The horses that captured the moviegoers’ hearts are the common denominator in Hollywood Hoofbeats. As author Petrine Day Mitchum writes, “the movies as we know them would be vastly different without horses. There would be no Westerns—no cowboy named John Wayne—no Gone with the Wind, no Ben Hur, no Dances with Wolves…” no War Horse, no True Grit, no Avatar! 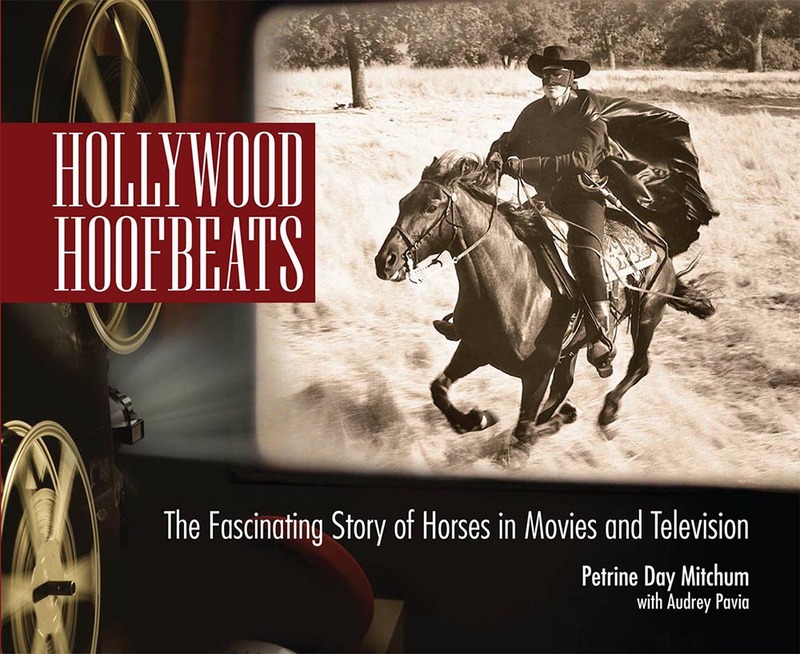 Those last three 21st-century Hollywood creations are among the new films covered in this expanded second edition of Hollywood Hoofbeats written by the daughter of movie star Robert Mitchum, who himself appeared on the silver screen atop a handsome chestnut gelding. Having grown up around movie stars and horses, Petrine Day Mitchum is the ideal author to pay tribute to the thousands of equine actors that have entertained the world since the inception of the film medium.